Booth Movers handles more than just basic commercial and residential moving projects! Our New Jersey specialized moving company is qualified to handle all of your high-value items and specialized moving needs! Whether you are a commercial client looking to transport sensitive equipment or a residential customer relocating fine art and antiques, there is no job too big or too small for our New Jersey specialized movers! With a ProMover certification and memberships with the American Moving & Storage Association and New Jersey Warehousemen & Movers Association, we offer the highest level of professionalism in all of our New Jersey specialized moving services. Through our affiliation with Atlas Van Lines, our New Jersey specialized moving company has access to state-of-the-art equipment and resources to efficiently handle the unique needs of our customers. 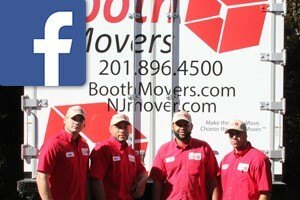 Our award-winning New Jersey specialized movers are committed to providing the best customer service in the industry. For your convenience, we offer free, on-site estimates to help you identify the New Jersey specialized moving services that best suit your needs. From there, our expert customer support team will provide you with status updates and be available to answer any questions you have about the moving process. Fine Art and Antique Movers – Booth Movers offers expert packing and crating to safely transport your high-value belongings. Equipment Movers – When you need heavy machinery or sensitive equipment transported, there is no better choice than Booth Movers! Furniture Movers – Our New Jersey specialized moving services include blanket wrapping and secure transport during your relocation. Appliance Movers – Take the stress out of your relocation by letting Booth Movers handle the heavy lifting of your appliances! Hotel Movers – Our New Jersey specialized movers are trained to handle moving FF&E for hotel moves of any size. Computer and Electronic Movers – Safely transporting IT equipment takes a team of trained professionals to ensure high-quality care and service. School and University Movers – Our New Jersey specialized moving company has decades of experience in completing successful school and university relocations. Are you interested in finding out more about how Booth Movers can help you with your specialized moving project? Give us a call today, or fill out our online form to request your free, no-obligation estimate!